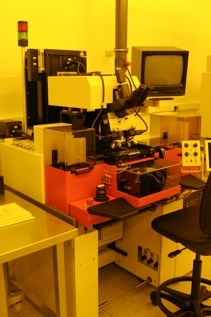 The area is free service. 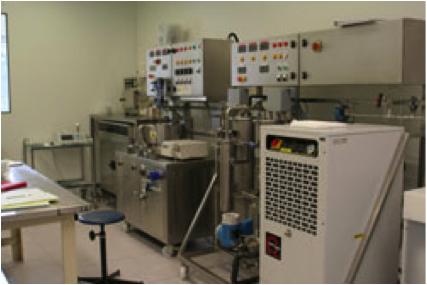 Any person wishing to work must undergo training on equipment after having signed the “Charte of the user of the Photolithography and chemistry areas". 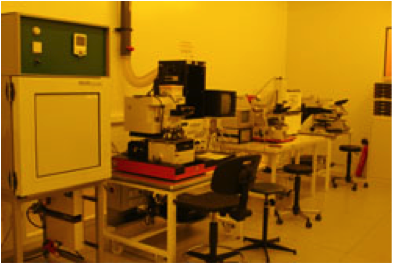 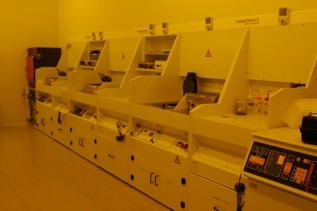 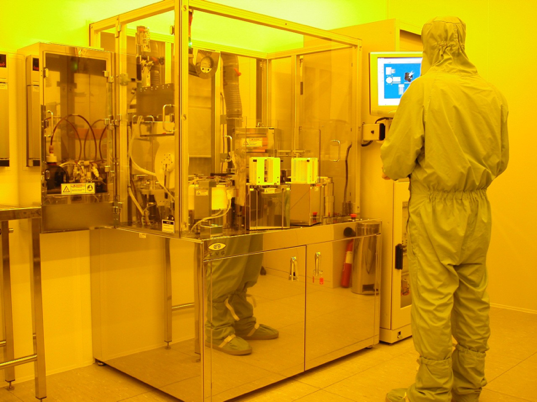 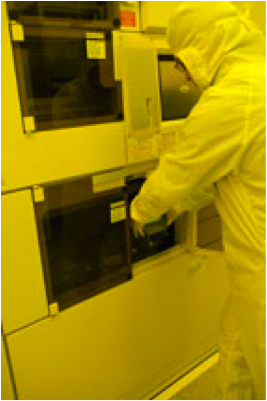 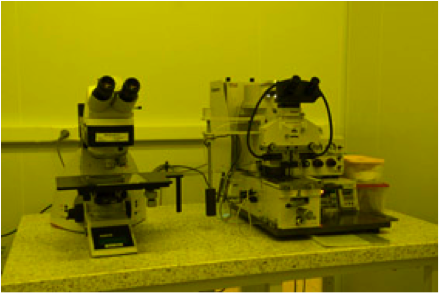 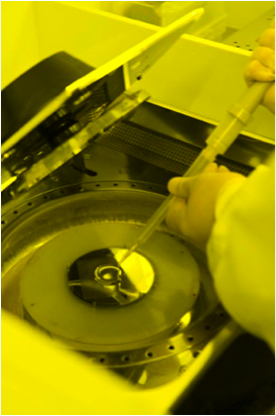 The Photolithography area is composed of 32 equipment on an area of 90 m2 class 100. 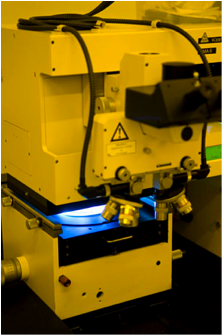 Manual part within an HMDS oven, 3 Gyrset spin coaters and various annealing systems (ovens, hot plates), 3 masks aligners including 2 double-sided equipments dedicated to not exceeding 4 "diameter substrates. 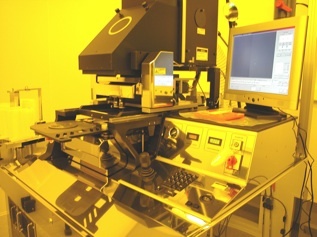 Automatic part, within an HMDS oven, a system for coating and development of resists (EVG 120), a double-side mask aligner with automatic alignment (EVG 620), a semi automatic (Suss Microtec MA 150) mask aligner, dedicated to 4” and 6” diameter substrates. 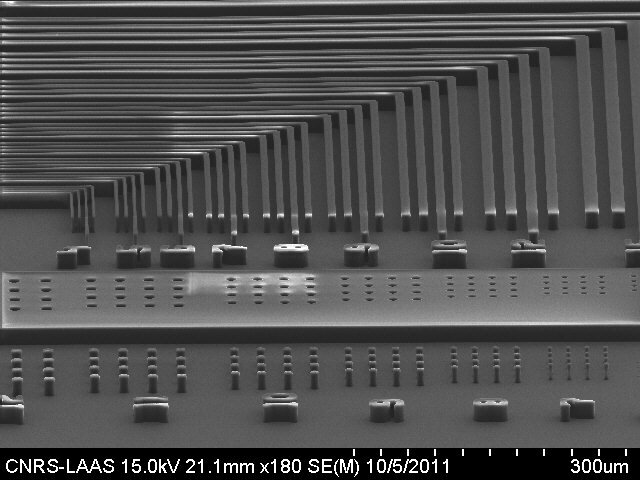 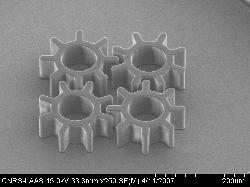 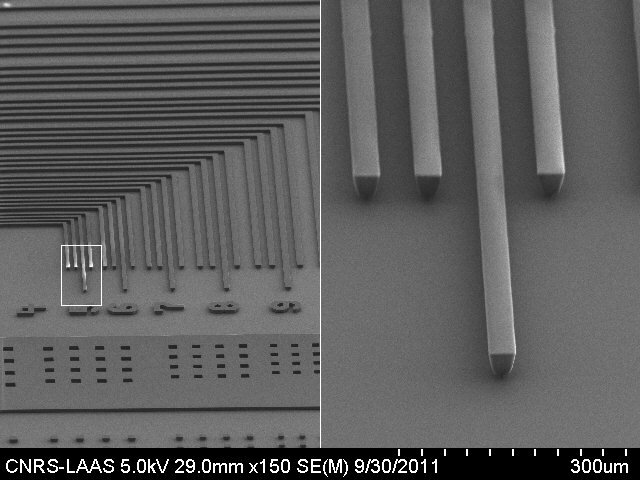 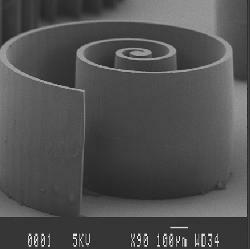 Shipley (RPD 220) for thicknesses ranging from 0.5µm to 20µm. 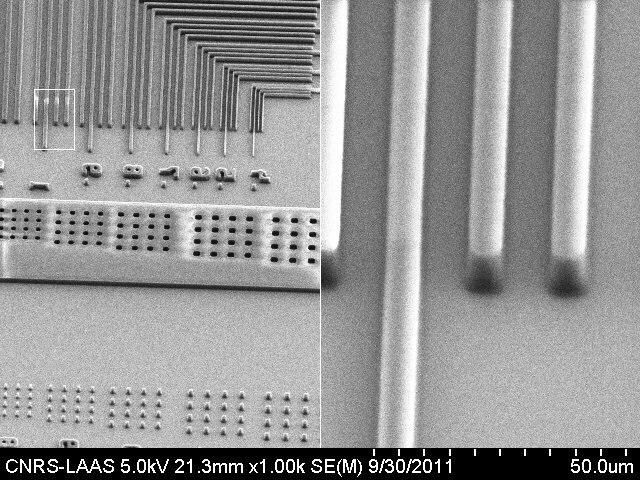 A photosensitive polyimide Dow Chemical (BCB) for thicknesses of 2.5µm and µm.